He was the one who changed the definition of a hero in the Hindi Film Industry. His unconventional looks, curly long hair, and dimpled cheeks, made him the new poster boy for thousands of young girls across the country in the year 1995. 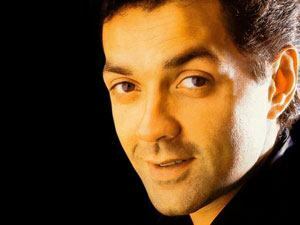 With his debut film, Barsaat, Bobby Deol promised to be THE boy to watch out for in the industry. However, Vijay Singh Deol aka Bobby Deol, the younger son of the legendary actor Dharmendra, could not meet the high expectations of the audiences as well as that of the film fraternity. Bobby, who'll turn 44 on the 27th January, 2011, has tried his luck at action, comedy, romance, suspense and drama; and unfortunately during the fifteen long years of his career, none of his films managed to create magic at the box-office. Will the success of 'Yamla Pagla Deewana' help Bobby hold his own, while the Ranbirs and Imrans are taking the industry by storm? Will stars favour him during the next year? Or will success still seem a distant pie in the sky? All this and more, Ganesha finds out with the help of Vedic astrology. Ganesha observes that Jupiter will be transiting over Bobby's Natal Saturn till mid of the current year 2011, and later Jupiter will be transiting over his Rahu. Transiting Saturn is aspecting Natal Saturn. 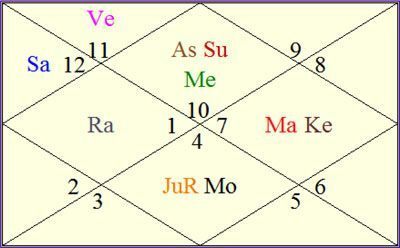 Rahu is transiting through the 12th House from Sun, but from the 7th June, 2011 Rahu will be in semi-sextile aspect with Natal Sun and Mercury i.e. it will be transiting through the 11th House from Sun. Ganesha notes that as transiting Jupiter has started aspecting Bobby's Natal Jupiter and Moon, and this means that the year ahead seems to be promising for Bobby's career. Ganesha feels that till May 2011, he wouldn't receive much attention. But, films releasing post May 2011 will get him appreciation and accolades for his performances. Ganesha says that it will be a little difficult for Bobby to recreate the magic that Barsaat had created way back in 1995. He will, however, not have disasters like 'Help' at the ticket window. Ganesha feels that the period from the last week of July to the second week of August, 2011 will be very good for Bobby's career, as Venus will transit over Natal Jupiter and transiting Mercury will be in opposition with Natal Venus. In short, Bobby has brighter career prospects in the second half of 2011. Good luck and may Lord Ganesha bless Bobby Deol with a progressive year ahead.